Raising my boys to be baseball fans, whether they like it or not. Why is this blog here? Note: This post is part of the Donna G Project. This is written to and for my boys. You will need this recipe. You will make it when friends come over and they will request that you make it again. It is easy and it is a piece of your heritage. 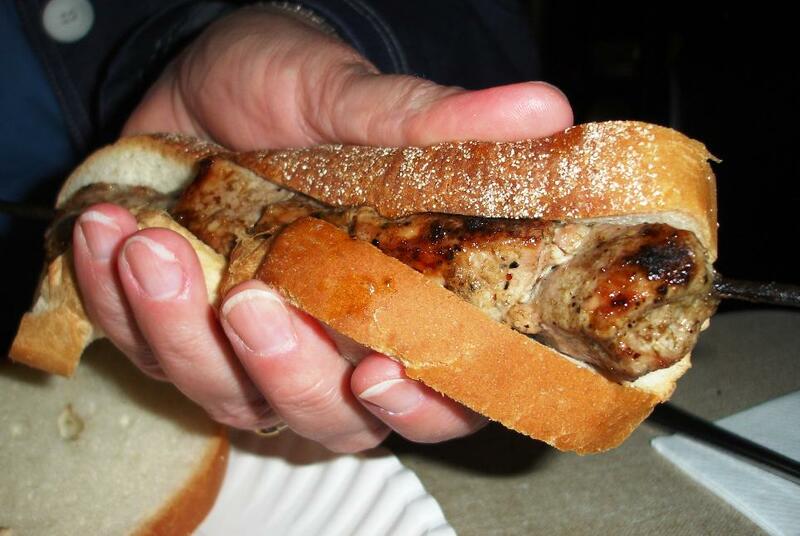 Spiedies were invented in Binghamton, where I am from. They are the local specialty of the region. 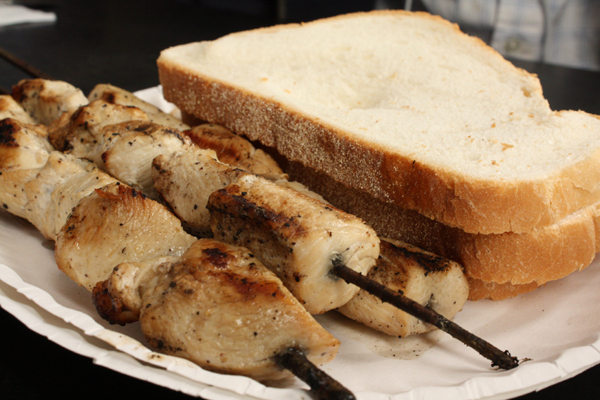 Occasionally someone will ask what is the difference between spiedies and shish-ka-bobs. The answer is that you don’t even acknowledge the question. Spiedies are spiedies. Just ignore those people, or if you have to, punch them in the face. Chop up chicken (or pork or venison) into chunks, put them in the marinade, and let them sit overnight. Skewer them about 6-8 per skewer and cook them on the grill. Serve with Italian bread. The correct way to eat is to hold a piece of bread in your palm and use it like a glove to pull off the meat. Eat it like a sandwich (like the guy in the photo with the gross fingernails is doing). Coming tomorrow…Recipe #2: The Perfect Homefries. I always wanted this recipe!